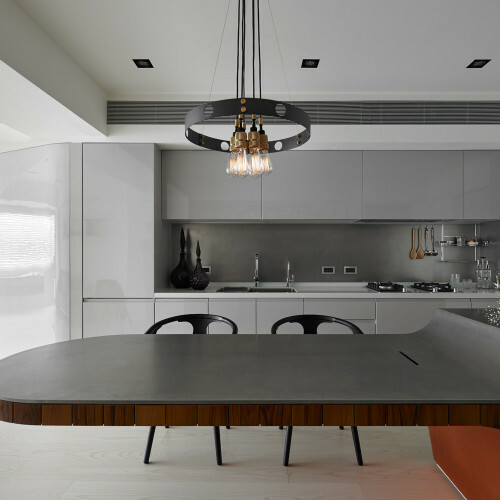 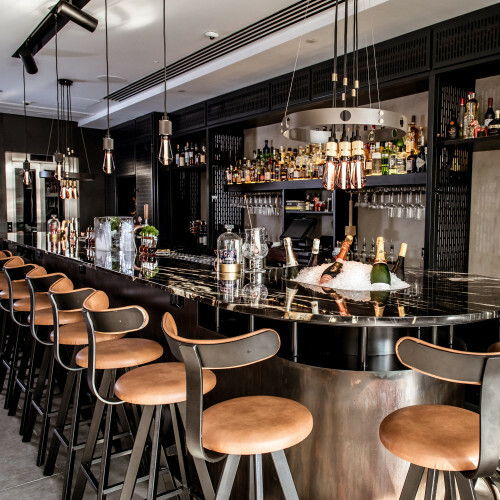 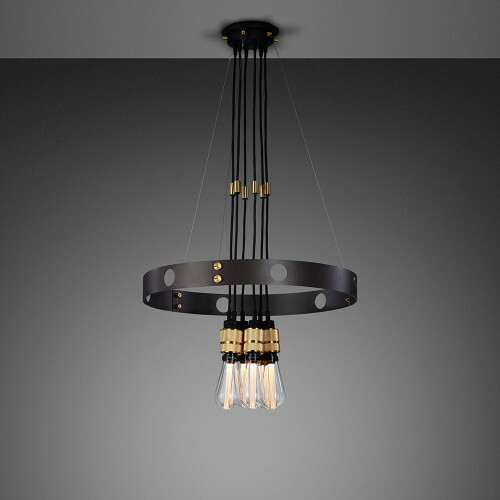 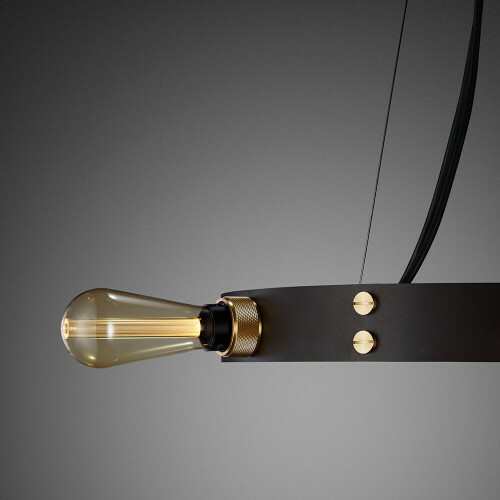 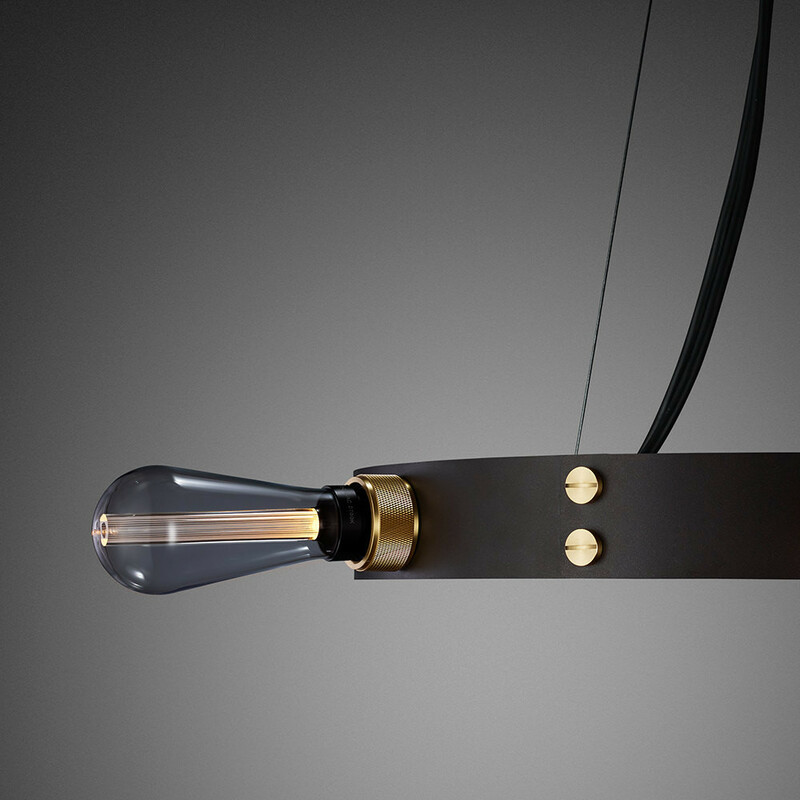 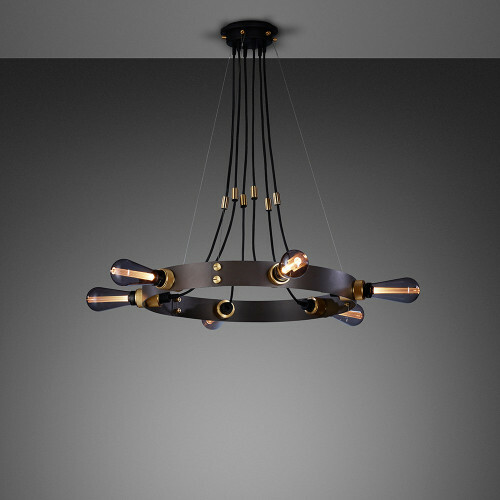 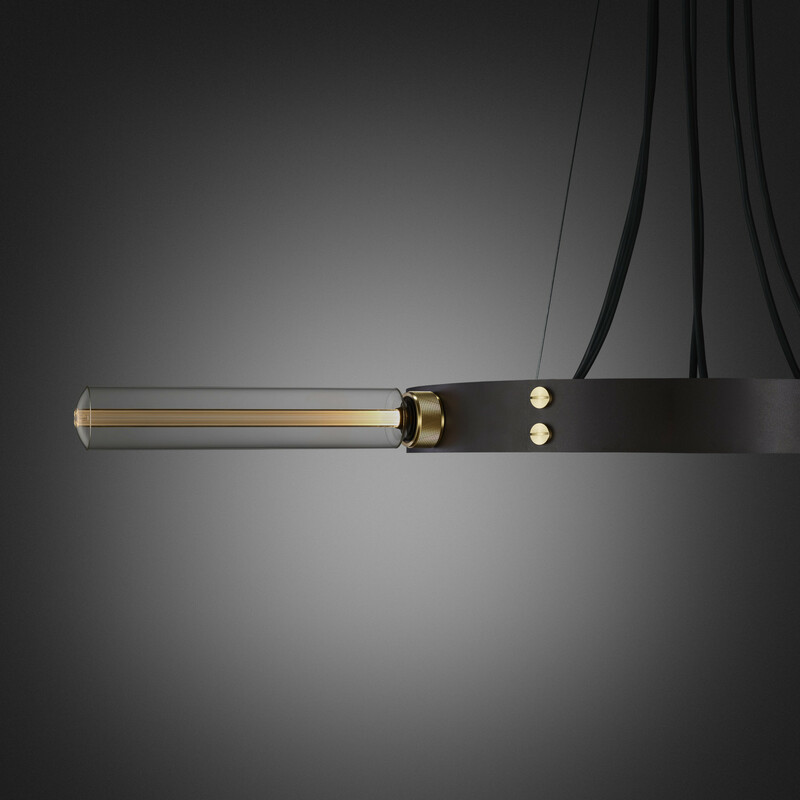 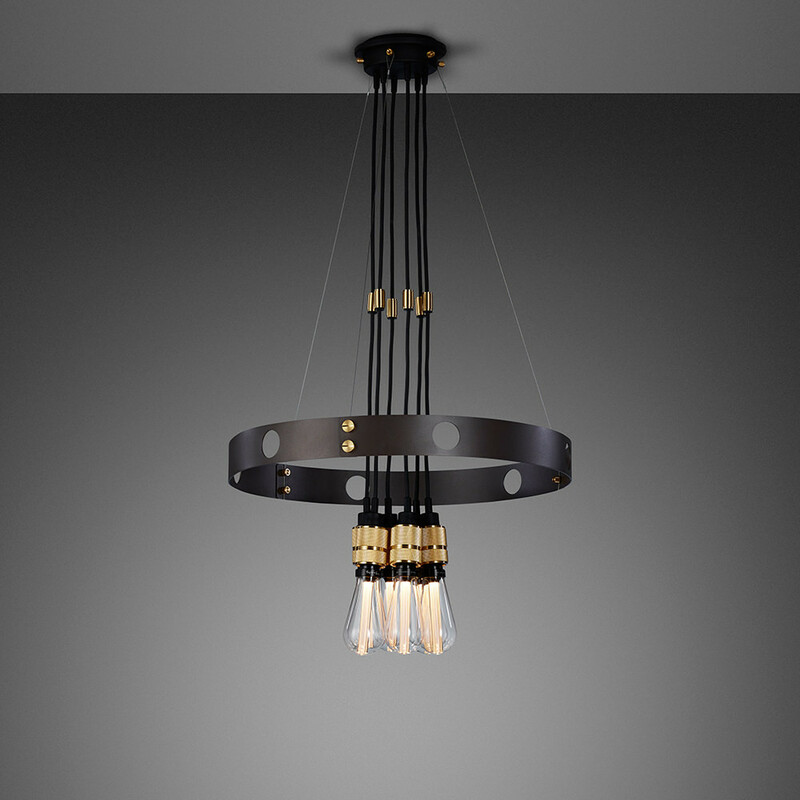 A chandelier made from 3mm steel finished in a GRAPHITE powder coat and features six BRASS pendants, with solid knurled metal and matt rubber detailing. Designed to be the focal point and HERO of any room, the light pendants can either be set in the ring or left to hang through the centre. 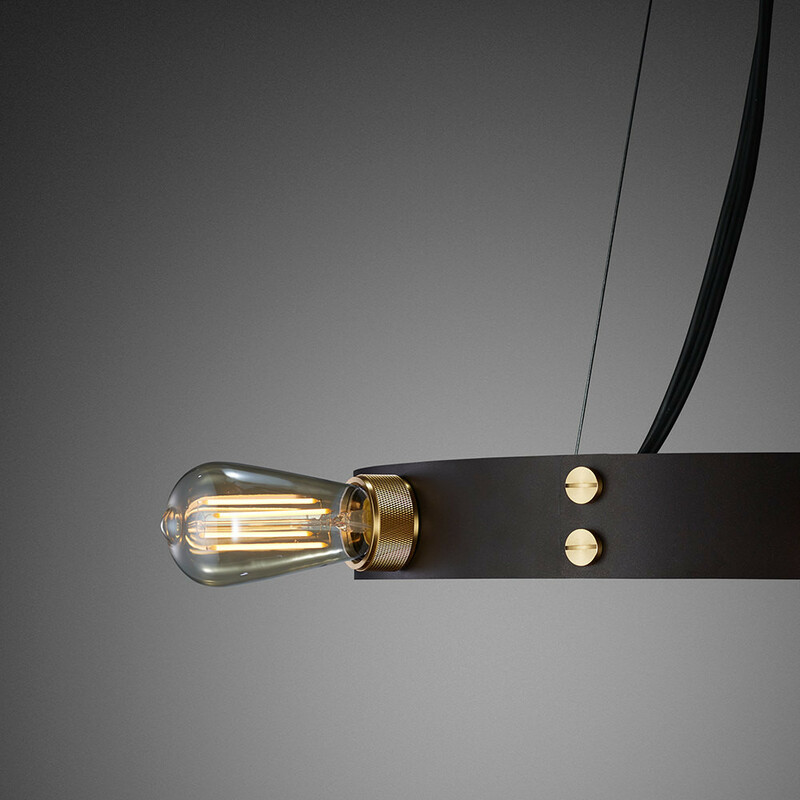 The HERO light looks best when fitted with our BUSTER bulbs and works in harmony with our other lighting ranges.